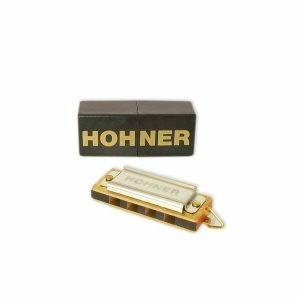 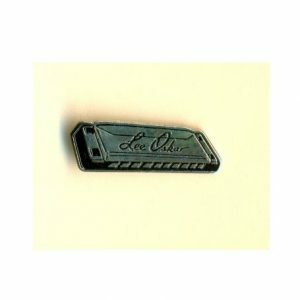 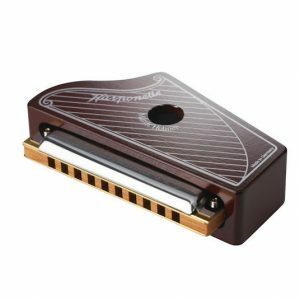 This mini 4 hole Tombo harmonica is on a neck chain and measures approx 35mm x 10mm (1.3 inch by 0.5 inch). 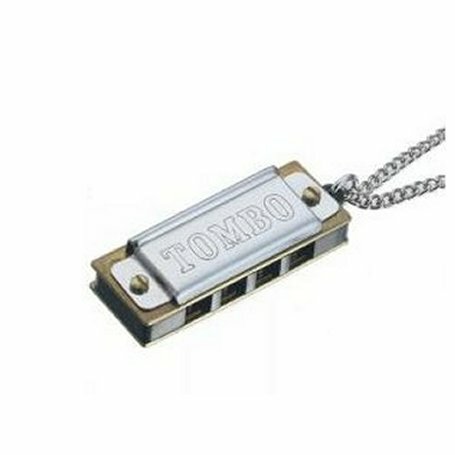 It has a plastic comb and metal cover plates with the Tombo name on both sides. 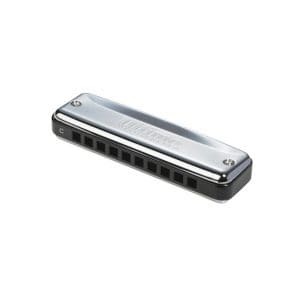 It is tuned in a full octave of the key of C.
Photo shown larger than actual size.